S A Partners have recently developed a new infographic for the Retail & Distribution sector to highlight the good work being done by Richard Lynch, sector head, and his team. Organisations in this sector are coming under increasing pressure from areas such as labour costs with the minimum wage, and the uncertainty around Brexit. In a recent report by the British Retail Consortium which is headed The People Roadmap, and highlights that the sector could lose 6% of its workforce over a given period. Organisations need to act now, in order to prepare for any eventuality that may have an adverse impact on their operations, and Richard Lynch, along with his team, have been doing a great job in this sector with proven results that attain measured benefits. 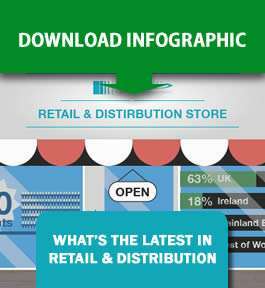 To read our Retail & Distribution infographic, simply use the download link provided. If you’d like to find out more about how S A Partners can help you, contact Richard Lynch.